Apprenticeships are a fantastic way to learn a trade on-the job. You get expert skills, an introduction to the industry, and the keys to a lifelong career. Plus, you get paid as you learn! Think of an apprenticeship as an agreement between yourself and an employer. Under this agreement, the employer will train you to become a professional in a particular trade, and in exchange, you work for apprentice wages. Apprenticeships will also generally involve a bit of formal study, which in many cases can now be done online. You may be surprised by the number of industries that offer apprenticeships. There’s something for everyone! Just some of the industries you can find apprenticeships include: automotive, building and construction, and beauty. There are four steps involved in getting an apprenticeship: research, preparation, job hunting and study. First off, you need to work out which industry you would like to become an apprentice in. Remember, you are looking at a long-term career, so you want to pick one that you think you would enjoy. Start to think about what your interests are and write them down. Some examples could include “being outdoors” or “making things with my hands”. Also, have a think about what you are good at. Ask your friends and family what they think your strengths are. Write these down as well. Using your list, have a think about what types of jobs may fit in with your interests and strengths. Next, you should Google what these jobs are actually like, and what these careers could offer you. You may also want to speak to someone already in the industry to get an insiders point of view. You could do this by chatting to a friend or family member already working in the industry, or by dropping into a local business and asking for some advice. Being thorough with your research is essential. You want to be sure that this is an industry you can see yourself happily working in for many years. To be considered for an apprenticeship, you will need to apply for a position with an employer. Employers pour a lot of time and effort into training their apprentices, so they will often look for people who show a real interest and commitment to the industry. With this in mind, your next step may be enrolling in an online introductory course, like a Certificate II in Automotive Vocational Preparation or a Certificate II in Electrotechnology. These courses give you the knowledge and skills that will prepare you for taking on an apprenticeship. You may also call up a local business to offer your services on a volunteer basis for a couple of hours a week. First up, you’ll need a resume. For help writing a resume, have a look at this article. Once you have your resume ready, you can begin your job hunt. There are several ways you can look for an apprenticeship. Firstly, you can make a list of all the local businesses in your chosen industry that are around you. Drop into each of these businesses for a chat and to hand in your resume. You can also visit the Government’s Jobactive website and search for apprenticeships in your area, or you can visit the National Apprentice Employment Network website. Most apprenticeships come with some formal education requirements. Studying an online course before or during your apprenticeship could help you meet these requirements. Many apprentices find online study is a great fit for their busy lives. There are no classrooms, and all study materials are available via phone, laptop, tablet or home computer, wherever, whenever. 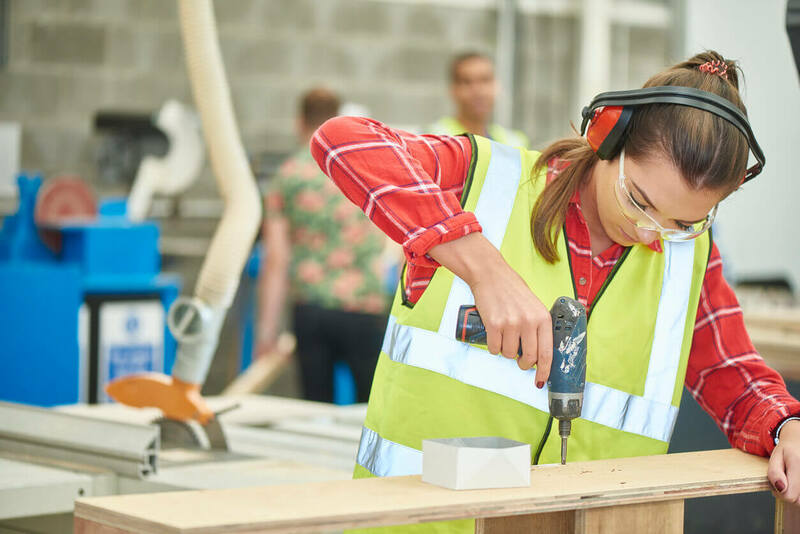 Open Colleges has a number of nationally recognised certificate courses which meet the knowledge requirements for apprenticeships across a number of industries. For more information about what Open Colleges can offer you, visit www.opencolleges.com.au. Getting an apprenticeship can open up the doors to a rewarding lifelong career. It really can change your life for the better. A bit of preparation and research before heading out into the workforce can help you to find an industry that you truly love, which is, after all, one of the main goals of work. As the old saying goes, find a job you love and you never have to work another day in your life. Studying online with Open Colleges could give you the understanding and practical skills that employers are looking for. Master the basics with us and kick start your trades career. Browse our courses. I like how you mentioned that apprenticeships are ways to become trained in a particular trade, and in exchange, you work for apprentice wages. I think that specialized vocations and trade schools can be so beneficial because they allow you to pursue specifically and directly your choice of career. My friend’s daughter has graduated high school, and wants to learn to weld, but isn’t sure how to get the right qualifications. I’ll recommend that she look for an apprenticeship program in her area that can offer her the opportunity to hone her skills, and become a welder. As Australia’s leader in online education, we offer a wide variety of courses and have educated over 800,000 students.